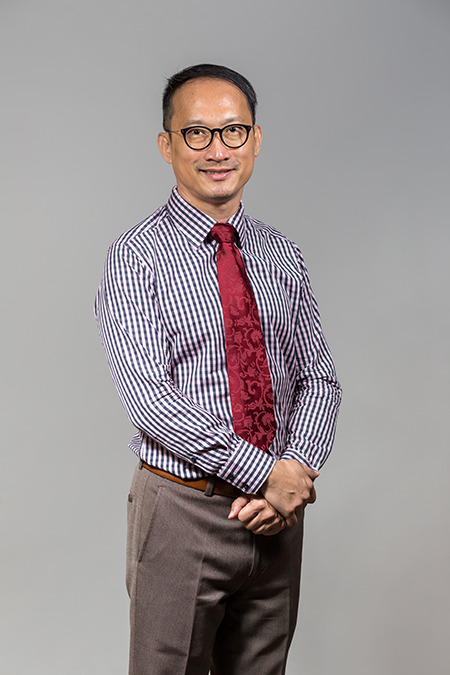 See-Kiong Ng (Ph.D., Carnegie Mellon University), a recipient of the Singapore National Computer Board's overseas scholarship (1986), is currently Professor of Practice at the Department of Computer Science of the School of Computing, National University of Singapore(NUS), and Director, Translational Research for the university's Institute of Data Science. Founded in May 2016, the Institute is the focal point at NUS for developing integrated data science capabilities and nurturing data scientists for Singapore's Smart Nation initiative. It pushes the boundary of data science through transdisciplinary upstream research, and creates impact by translating the research outcomes into real-life applications by collaborating with partners from the industry and public agencies. Prior to joining NUS, See-Kiong was the Programme Director of the Urban Systems Initiative by the Science and Engineering Research Council of the Agency of Science, Technology and Research (A*STAR). The Initiative was a pioneering multi-institute research program that developed smart city innovations to address the many new challenges of the rapidly urbanising world. See-Kiong was also a Principal Scientist and the founding head of the Data Analytics Department at A*STAR's Institute for Infocomm Research. The department became a prominent leader of applied data mining research with many successful research collaborations with industry from a wide array of verticals. As a practising data scientist, See-Kiong is constantly in search of big data and never afraid to cross over into other disciplines for it. From using data mining to unravel the biology of the human body (bioinformatics), to applying machine learning to understand the "biology" of large-scale urban systems for complex human cities (smart cities), See-Kiong has shown that there are always much values in data to be created and harvested through data science, translational research, and a spirit of adventure. A. T. Luu, H. S. Cheung, and S.-K. Ng (2016) "Utilizing Temporal Information for Taxonomy Construction", in Transactions of the Association for Computational Linguistics (TACL), Vol 4, p. 551-564. Y. Hu, T. Hase, H. P. Li, S. Prabhakar, H. Kitano, S.-K. Ng, S. Ghosh, and L. Wee. (2016) "A Machine Learning Approach for the Identification of Key Markers involved in Brain Development from Single-cell Transcriptomic Data", in BMC Genomics, Vol 17 (Suppl 13). G. Liu, H. Zhang, M. Feng, L. Wong, and S.-K. Ng (2015) "Supporting Exploratory Hypothesis Testing and Analysis", in the ACM Transactions on Knowledge Discovery from Data (TKDD), Volume 9 Issue 4, Article No. 31. L. Yu, W. Wu, G. Li, W. S. Ng, S.-K. Ng, X. Li, Z. Huang, A. Anunan, and H. M. Watt. (2015) "iVizTRANS: Interactive Visual Learning for Home and Work Place Detection from Massive Public Transportation Data", in Proceedings of the IEEE Visual Analytics Science and Technology (VAST), Chicago, Illinois, USA. N. Amudha, G. G. Chua, Eric S. K. Foo, S. T. Goh, S. Guo, Paul M. C. Lim, M. T. Mak, M. C. M. Munshi S.-K. Ng, W. S. Ng, and H. Wu. (2014) "A*DAX: A Platform for Cross-domain Data Linking, Sharing and Analyticss", in Proceedings of the 19th International Conference on Database Systems for Advanced Applications (DASFAA). H. Cao, X.-L. Li, Y.-K. Woon, and S.-K. Ng(2013) "Integrated Oversampling for Imbalanced Time Series Classification", in the IEEE Transactions on Knowledge and Data Engineering (TKDE), Vol 25:12, pages 2809-2822.